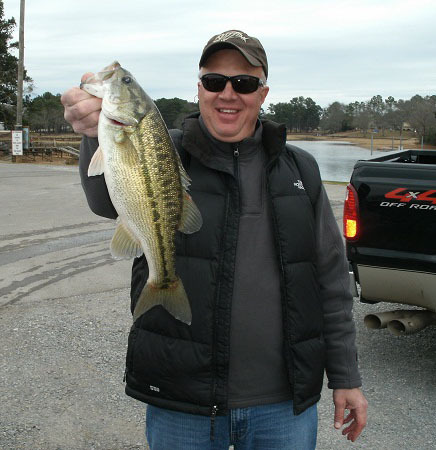 When temperatures soar, this mid Alabama impoundment has many anglers stumped. From post spawn into the early summer period active bass kept rods bent and anglers happy. But when mid summer arrives ” the back to school bass ” can often prove hard to find. 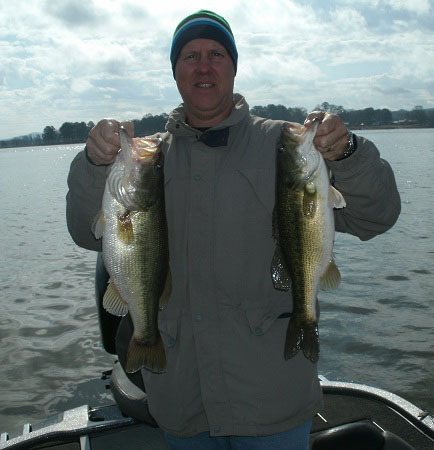 There are huge schools of both spotted bass and largemouth bass grouped up in desirable locations all throughout Jones Bluff reservoir, situated near the state capitol in Montgomery, in mid Alabama. * It is 80 miles from Jones Bluff dam to the lakes headwaters. This man made impoundment begins at Walter F. Bouldin dam in the lakes headwaters. It then begins its long and winding journey south down the Alabama River to Jones Bluff Reservoir dam. The lakes dam, situated on the lower lake, is actually called, Robert F. Henry Lock and dam. It was built in 1972. During the summer months bass seek out the current and cooler water found in Jones Bluff’s Lake headwaters. 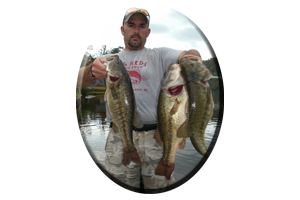 High oxygen content and plenty to eat, generally keeps these bass very active while feeding every day. The more energy a summertime bass exerts the more it must eat. The lakes headwaters feature loads of current, lots of cool water, shade, and the oxygen content is usually very high, due to the constant water generation at upstream dams. 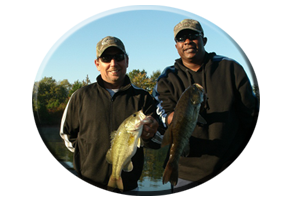 In addition to these comforts, there are plenty of baitfish, minnows, bream and crayfish for bass to dine on all throughout the summer months. 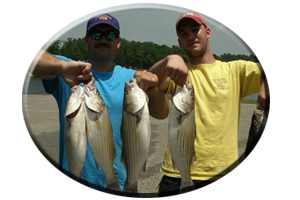 The current means everything, both in terms of seeing active bass and in terms of an angler actually catching bass! The lakes headwaters begins just below Walter F. Bouldin dam (the tailrace waters of the Coosa River System). 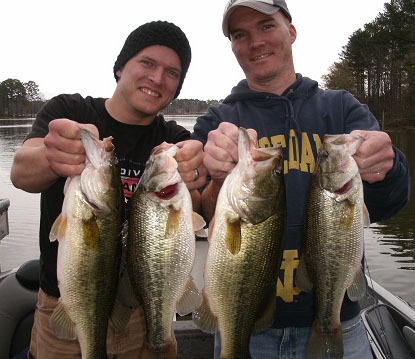 It is also fed by the Tallapoosa River System, coming off of Lake Martin dam. Both of these two river systems join to form Jones Bluff’s lake headwaters, the origin of the Alabama River. At the junction of these two incoming rivers is an Island called, Parker’s Island. From Parkers Island to both of the upstream dams is very rocky and dangerous to travel by any boat. So use caution! Parkers Island actually sits right in the Y junction of these two river systems. Small openings, show backwater ponds and plenty of grassy cover and loads of wood-filled waters to explore here this summer. There is plenty of current, shade and baitfish activity here all throughout the summer months and on into the early fall period. Sand Bars, channel drop-offs, main lake points, deep outside river bends and the first island (Mud Island), you see going downstream, near a deep outside river bend, are all excellent summertime locations for finding schools of bass and baitfish in Jones Bluff’s lake headwaters. 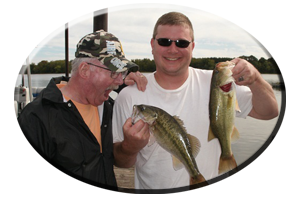 Often schooling activity is evident and you will see both spotted bass and largemouth bass busting shad on top this summer. But like said, current is everything. It is usually on all day on weekdays, but often upon your return on a weekend it could be off. So time your trip accordingly, when your planning on fishing Jones Bluff lake’s headwaters this summer! 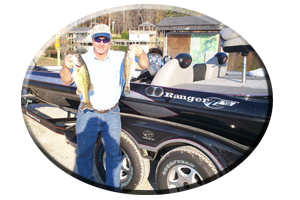 * Need help fishing this lake or any Alabama lake this summer, day or night? Always call on Reeds Guide Service…first! (205) 663-1504 for fishing any Alabama Lake, year round. Always call on Reeds Guide Service…first! When making plans to fish this lake or any lake in Alabama, year round. Remember, a guided trip with Reeds Guide Service always makes a great gift for such occasions as Birthdays, Fathers Day or Christmas (certificates available), for those loved ones that love to fish.